Our clients wanted a shed to mimic the aesthetic of their home and that is what we gave them. 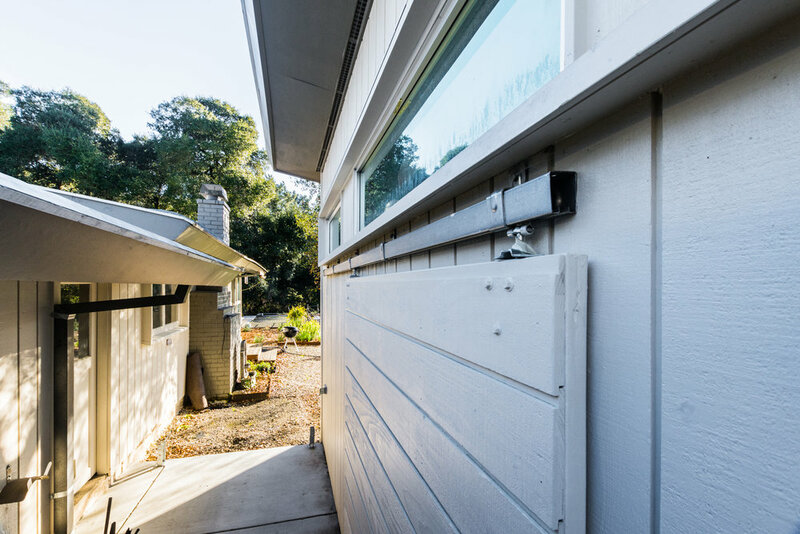 The pitch of the roof perfectly aligns with the roof of the garage, custom milled siding was installed around the perimeter, and an oversized sliding barn door was custom made to open the space. Adding nearly 500 square feet to our clients backyard was not a simple task but the final product was worth all of the extra work that went into it. 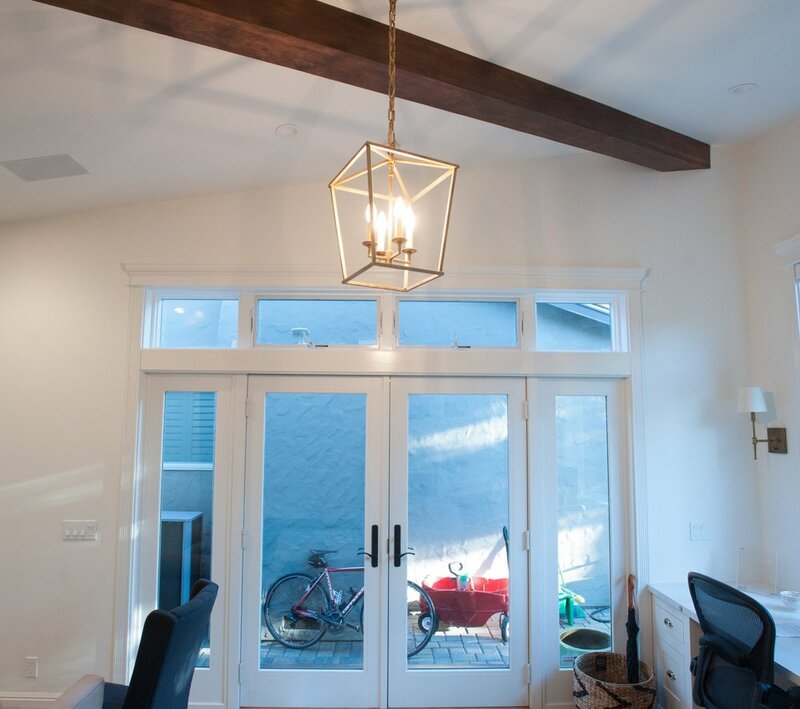 The angled roof with exposed beam looks just as good from the outside as it does from inside this personal office / play room. We made sure to match the stucco of the exterior to that of the existing home so that it didn't look out of place. With the addition of a private space with two piece powder bath our client now has a space to work in peace during the day, and relax with his family at night.